EghtesadOnline: A memorandum of understanding was signed by Maku Free Zone, China Water Company and Azarab Oil and Gas Company to build two dams in West Azarbaijan Province. Gholamreza Soleimani, CEO of Maku Free Zone, made the announcement on Thursday, MFZ news portal reported. 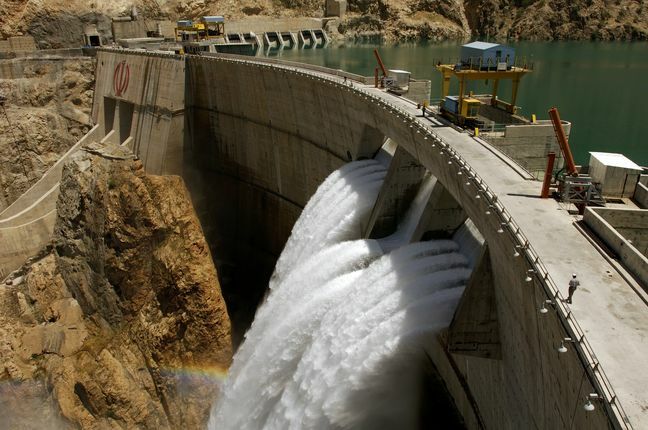 "The Badowli and Showt dams will be constructed based on an engineering, procurement, construction and financing [EPCF] deal after gaining approval from the Ministry of Energy," Soleimani said, adding that the Chinese firm will provide 85% of the funds. According to the official, obtaining permits to pave the way for the foreign investor to start the venture has been a time-consuming process due to its bloated bureaucracy, Financial Tribune reported. Soleimani noted that completion of the project can help resolve water shortage crisis in the region and create jobs in the agriculture sector that has been adversely affected because of drought. "The feasibility studies of the initiative took 17 years," Einollah Sharifpour, a lawmaker from the province, said, adding that financial constraints delayed the development of the plan for a long time. The China Water Company operates water supply facilities in China. It offers projects such as municipal water supply, wastewater or sewage treatment facilities, and other water-related infrastructure. The company was incorporated in 1996 and is based in Central, Hong Kong. MFZ is one of Iran’s lesser known trade zones located in the northwest. With just over 20 kilometers (13 miles) from the Turkish border and surrounded by mountains, MFZ has one of the best trading advantages. The small town, Maku, is separated by Zangmar River that passes through the province. The designated zone is spread over 5,000 square kilometers. Maku, like any other free zones in Iran, enjoys a multitude of advantages, including discounted customs and duty rates on all goods, visa facilities for foreigners and ease of credit for foreign business.